By guest writer | February 7, 2019 | This post may contain affiliate links, which means we may receive a small commission, at no cost to you, if you make a purchase through a link. Read our Disclosure. 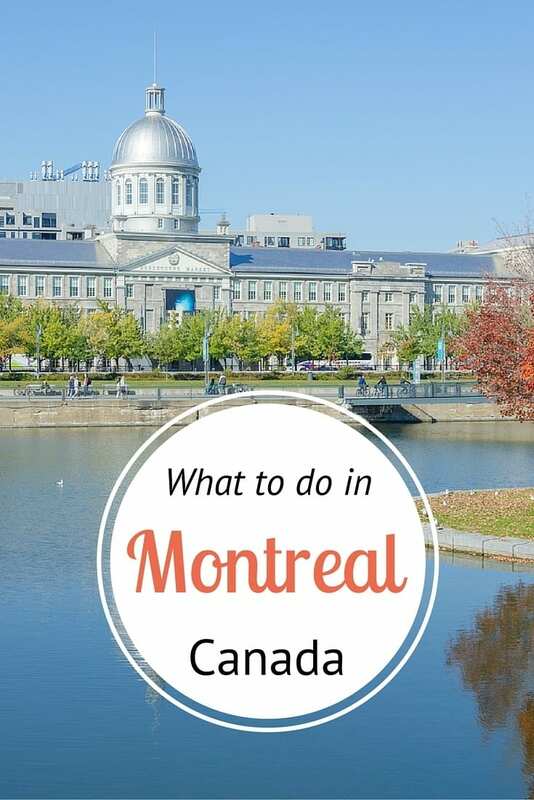 Looking for travel tips on what to do in Montreal? As part of our city guides series, we interviewed Marie-Eve who is a born and raised Montrealer. Marie share’s with us her insider tips on what to do in Montreal for those looking for the best things to see and do, where to eat, stay, drink, and play. 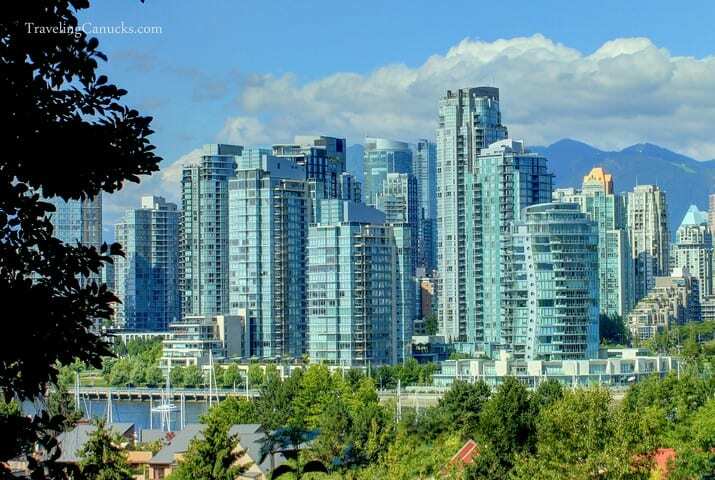 Because it’s got the best of both worlds: the modernity of North America, its fast-paced life, yet the romantic Old-World charm from Europe, along with almost 400 years of history. Very few places on the globe can boast having such a contrasting, remarkable atmosphere. 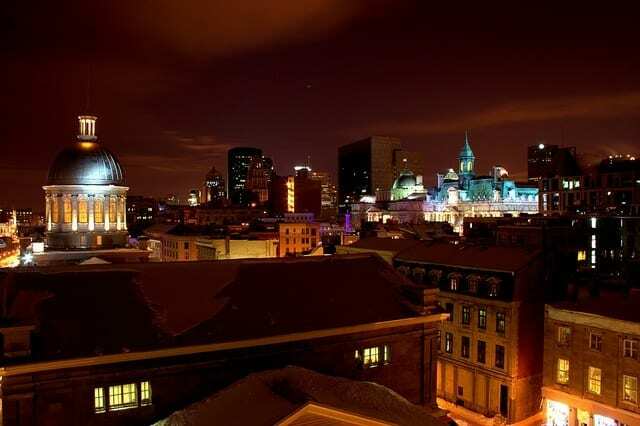 Old-Montreal holds more than a handful of Montreal icons, including; Bonsecours Market, Place Jacques Cartier, Notre-Dame Basilica and Saint-Paul Street. Being so close to the downtown area, it’s easy to get to the shops of Sainte-Catherine Street before going up Saint-Denis Street and its many restaurants. Also worth visiting is the Olympic Stadium and its inclined tower, the highest one in the world. The area is also home to the world-famous Biodome and Botanical Gardens, and is well worth a day trip from central Montreal. The best vantage point? The Mont-Royal Belvedere, which sits right above the skyscrapers and overlooks the whole region, including the mountains of the Eastern Townships. I’m a Plateau Mont-Royal girl at heart, and I have a hard time recommending anything else. It really represents Montreal with its international restaurant scene and the many unique shops scattered around. And the architecture is quite lovely, with the unique spiral staircases that adorn the colourful apartment buildings. Old-Montreal is also a must because of all its history, and the dozens of attractions it’s home to. For visitors who want to take their visit even further, I recommend spending a few hours strolling in upscale Outremont, admiring the designer’s windows and the luxurious villas owned by the city’s VIP people. Montreal is home to thousands of amazing places to eat, and I couldn’t possibly just pick one. I can suggest a handful of my personal favourites, starting with the Usine à spaghetti on Saint-Paul Street in Old-Montreal. The décor is absolutely phenomenal and Charles Dickens wrote parts of its most famous novel in the backroom. I also love La Banquise for the best, cheap poutine in town, at any hour of the day. But when I want to treat myself, I go to Le pied de cochon for their foie gras poutine, which words can’t even begin to describe. And well, any self-respecting Canadian will tell you that the best coffee to be had in Montreal is at Tim Hortons. And he would be right. There are many great places to drink in Montreal, starting with Amère à boire (which basically translates into “bitter to drink”) on Saint-Denis Street, which serves great micro brewed beers, both local and international. It has a young, appreciative crowd and a lively atmosphere. On the other hand if I want to catch up with my girlfriends, I’ll make sure to head to Candi Bar on Mont-Royal Avenue, and have one of their amazingly sweet drinks in their girly, quirky décor. Montreal has a very lively Show District (Quartier des spectacles) which presents dozens of shows every night, whether it’s music concerts, opera, stand-up comedians or theatre. I strongly recommend hanging out there, especially during festival season! Most of Montreal hotels are either in Old-Montreal or downtown, and choosing between the two really depends on the kind of stay you want to have: a relaxing hotel tucked away in a 350-year-old street, or a generic room in the heart of the action? For the first scenario, I recommend the Auberge du Vieux-Port, which has tastefully decorated rooms and nice views over the Old-Port. Unfortunately, there isn’t really such a thing as budget accommodation in Old-Montreal. For those on a budget, the Travelodge on René-Lévesque boasts an exceptional location and friendly prices. For more places to stay in Montreal choose from the largest range of hotels, apartments, and guesthouses with our partner Booking.com. You get free cancellation on most rooms, and in most cases you only pay when you stay. The most famous shopping area is Sainte-Catherine Street, which is home to hundreds of high-street chains and high-end boutiques alike. Saint-Denis Street and Mont-Royal Avenue also have their share of shops, but they’re more on the unique, original side. As for the markets, Jean-Talon Market is popular with both the locals and the tourists, and offers the best local products available in the city, including French Canadian cuisine and maple delicacies. If there’s one thing Montreal is recognized for, it’s the amazing festival scene. 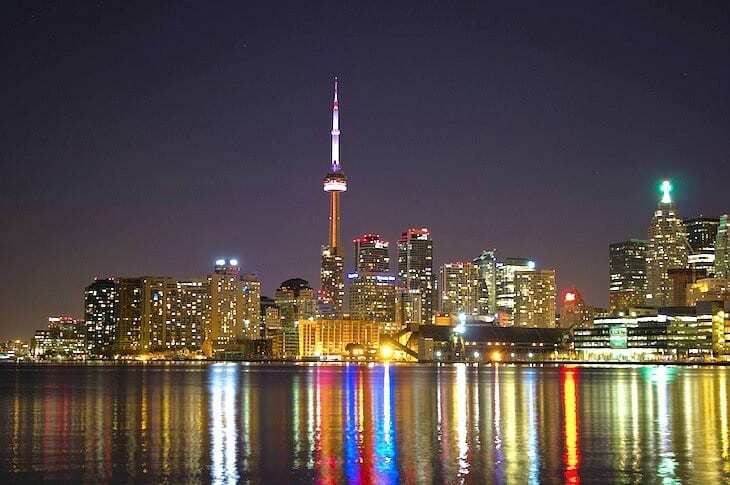 Whether you opt for the music festivals (Jazz Fest, Francofolies, Osheaga), the arts festival (Film Festival, Fantasia, Museum Night) or another quirky one (Just For Laughs, Chinese Lanterns), you are guaranteed a good time. The metro system is extremely easy to use and pretty cheap. Although visitors can walk just about anywhere central, giving your feet a break or escaping the harsh winters is the ideal solution, and every attraction is just a short tide away. Montreal is amazing and interesting year-round, thanks to well-defined seasons and a lively cultural calendar. I couldn’t possibly pick one for myself, but I would say that winter is ideal for most travellers, as long as the rigorous weather isn’t too much of a deal-breaker. Montreal in winter is a sight to behold. While Air Canada offers really great service on board, it’s not the cheapest solution out there. Air Transat offers no-frills flights, but also very low prices, which can be a very interesting option to look into as Montreal is quite expensive to fly in when compared to the nearby US airports. Montreal is a big transport hub for all of the East Coast, with buses to Quebec City, Toronto, Ottawa, New York City or Boston. For cities closer to Montreal, a car rental is probably the best option. I really love hanging around the Canal Lachine near the Atwater metro. If has a very cool, relaxed vibe to it, with people dining al fresco near the water and the converted factories. A little bit hipster, a little bit foodie, a little bit retro. Because it’s a city that offers everything someone would want in a city, minus the overwhelming feeling of large metropolises. It’s vibrant enough to be cosmopolitan, but homey enough to make everyone feel welcome. What more can you want? Booking.com has over 250 properties in Montreal including hotels, apartments and hostels. You get free cancellation on most rooms and a best price guarantee. Check out these awesome tours of Montreal with our partner Viator. BIO – Marie-Eve is a born and bred Montrealer who’s currently exploring the world, trying to find a city that will make her heart beat as fast as Montreal. She’s traveled to more than 18 countries and keeps planning to getaways from her expat life in France. Find out more on her blog, Twitter or Facebook page. Do you have tips on what to do in Montreal? Share in the comments below. Hey, nice profile on my city! Come visit me sometime! We would love to visit Montreal. A very nice write-up of Montreal. I also love the fact that the city is so close to the Eastern Townships and the Laurentians – both excellent and scenic areas for enjoying the outdoors. I remember my mother raving about a meal at Le Pied du Cochon too. Montreal sounds like a very interesting and attractive place to visit. 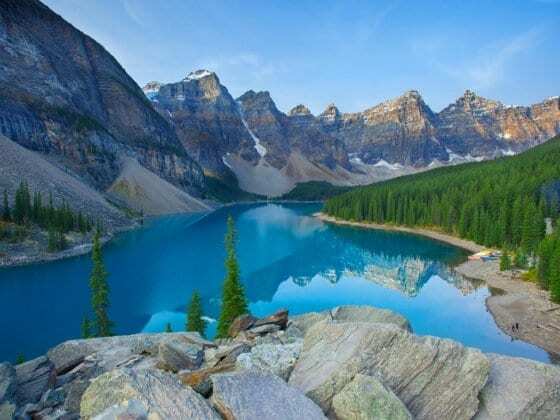 We can’t wait to do Canada thoroughly! As a Montrealer myself, I’d have to say that as of late, winter might not be the best time to visit, it get’s cold, Berlin like cold. I’d suggest late summer and fall. Late summer for the festivals, fall for the absolutely gorgeous golden and red trees. Winter is beautiful for an experienced traveler, but fall just seduces you! Good post, a good general post that covers everything. Like the photo of the Bassin Bonsecours. I have a few things to add to the above. If you follow the links on the above I’ll got a specific itinerary on what to do in 3 days in Montreal as well on information on museums and the various sights around town. Great article! What would you recommend for New Year’s Even in Montreal?? Montreal is such a great city to travel to! I love it. Thanks for your time writing this post.